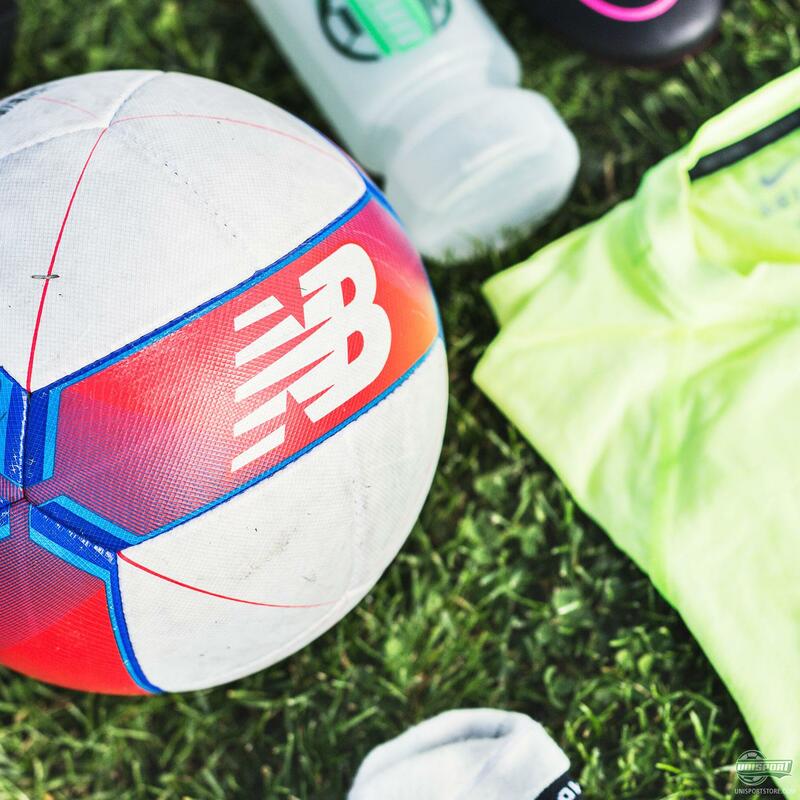 We don’t just love football and football gear here at Unisport - lots of us are naturally also active footballers, whether it be at an elite level, or slightly more Sunday League-ish. We all don’t ever let our gear hold us down. But what do us “experts” wear ourselves? 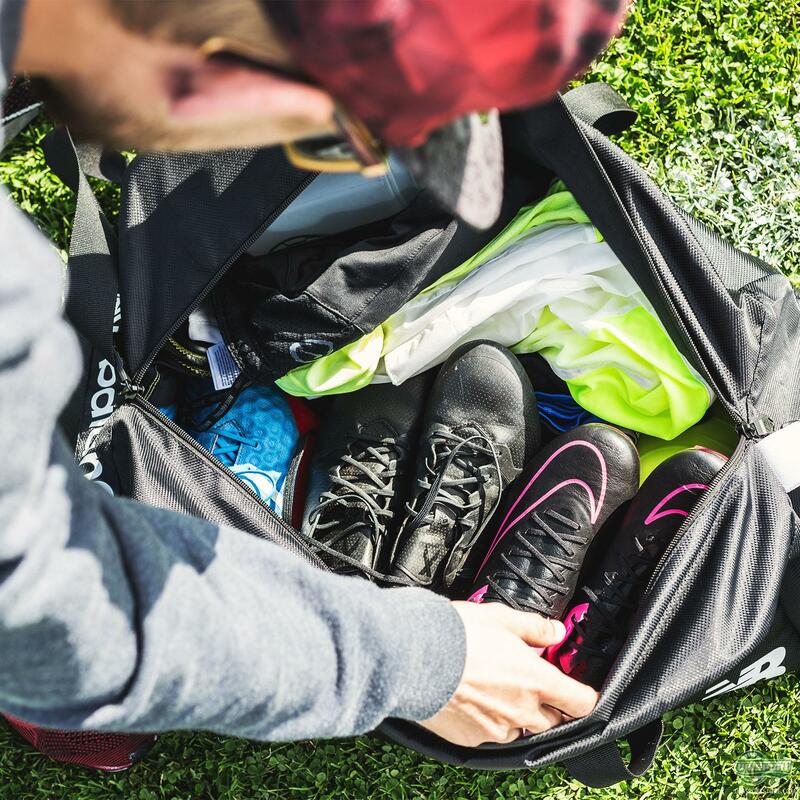 We have been asking various employees these last few weeks and for this round we went for someone we knew had more gear than most people; our WebTV host Jakob, who always has at least two boots in his bag.. See what else he has hidden here. 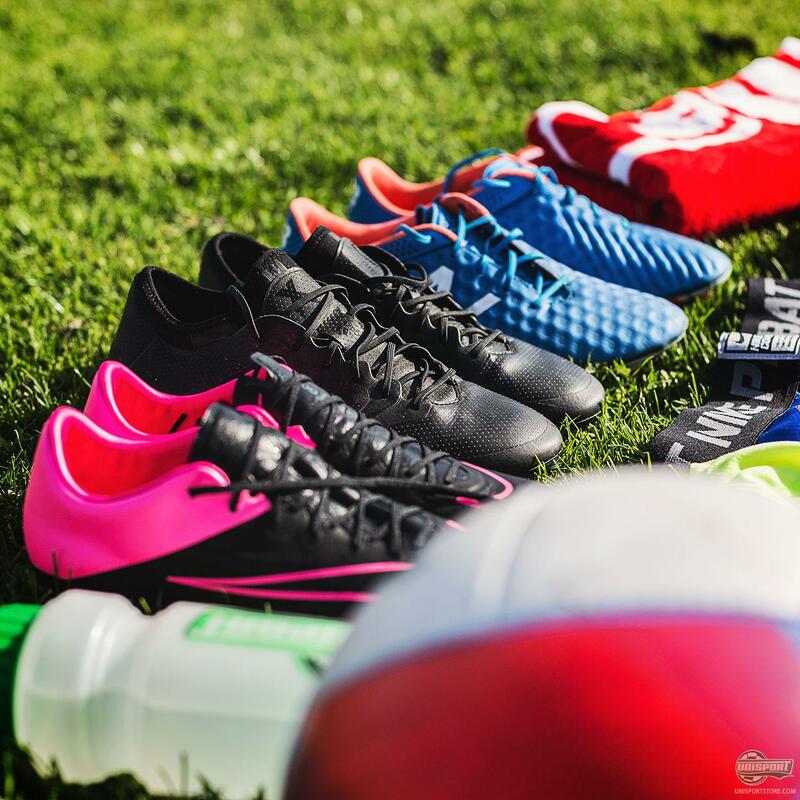 Nike Mercurial Vapor X Tech Craft, adidas X15.1 Blackout testmodel and New Balance Visaro Pro I’ve always loved the Mercurial-series and after a couple of ‘meh’ years with the Superfly II and III things are back on track. 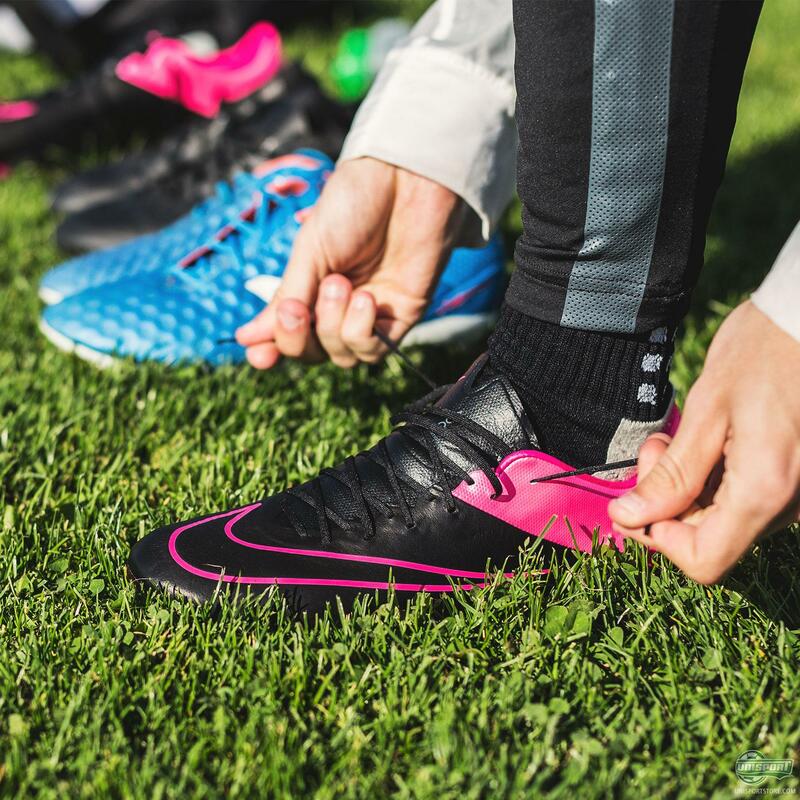 The Vapor X and especially this new Tech Craft version is an instant win, even if it is a little pink. Now for two new boots, which are already personal favourites - the Visaro from New Balance and the adidas X15.1. 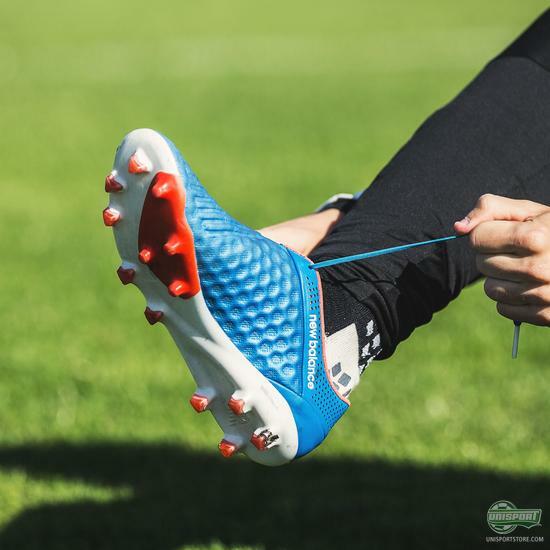 They are two fairly different boots, so I always have my weapon of choice ready, depending on if I want chaos from the X15, or elegance from the Visaro. Nike Revolution Jacket, Nike Select Strike Pants & Nike Select seamless T-shirt I’m a sucker for my Nike training gear and from top to bottom this is what I go for. The very light Revolution jacket, which gives complete freedom of movement, paired with the Seamless t-shirt just means I have no restrictions, or cause for annoyance on my upper body. The Select Strike trousers are also great for training and also relaxing evenings watching Champions League on the sofa. 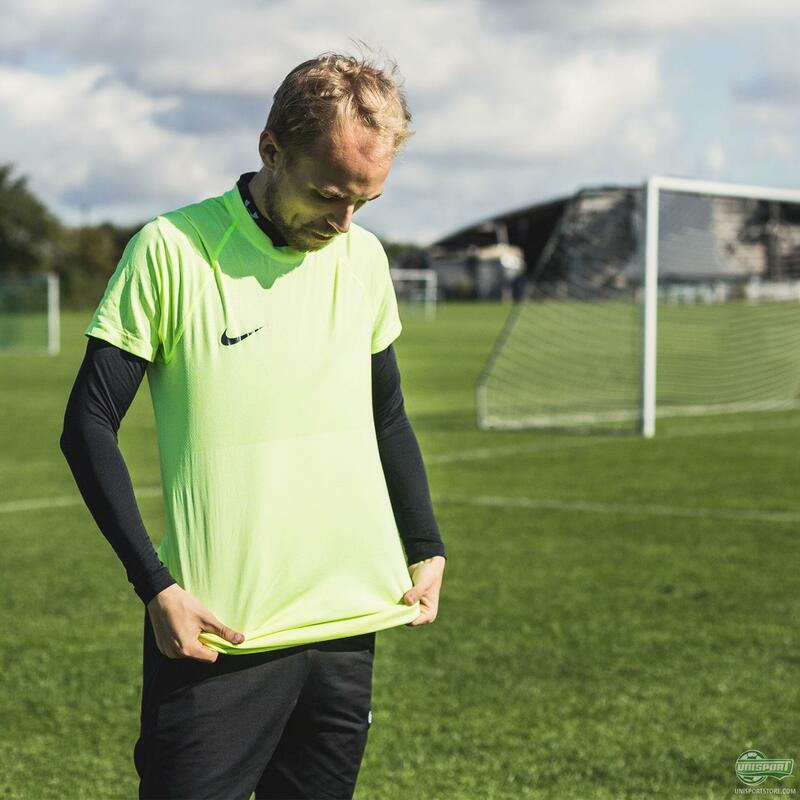 Under Armour HeatGear Baselayer shirt & Nike Pro Hyperstrong Slider An Autumn essential for me and the Under Armour baselayer is among the best out there. Love it and can’t live without it when the weather gets colder. For my legs I like the protection the Slider shorts provide, which I haven’t seen on other baselayer. I’m a winger, so I often get kicked down by defenders and if you know you’re about to get hit by a tackle that takes you airborn, well then these shorts will take some of the brunt of the force. G-Form Pro-S Elite I have two pairs of shin-pads I use, the one is the C6 Carbon Agility, which I’ve used for many years now and the G-Form Elite pads. I love the tight fit, and the way the pads follow your legs shape. Great if you don’t like playing with clunky shin-pads. Trusox & the New Balance Furon Destroy football As you may have noticed when I do reviews, I always wear Trusox. 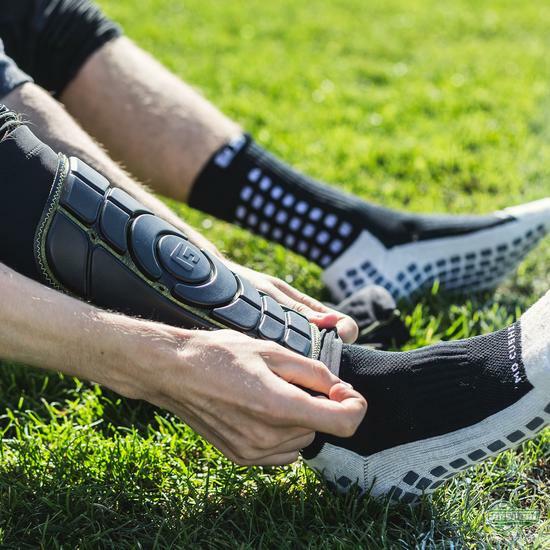 They are the best thing since sliced bread, when it comes to combatting blisters. 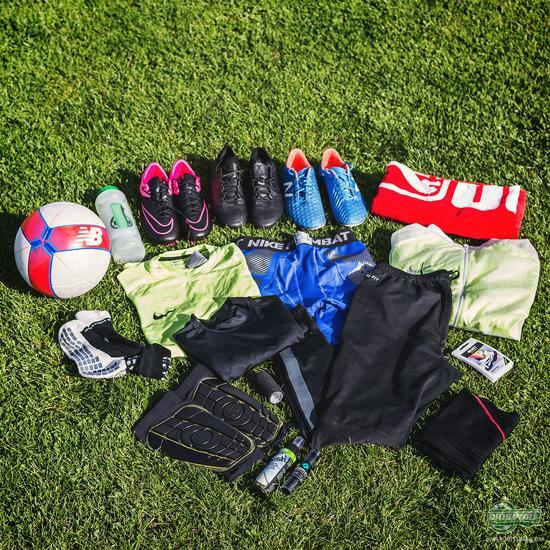 - In my bag I obviously also need a ball and there I go for the New Balance Furon Destroy. Not as stable and reliable as my favourite ball, which is the Select Brillant Super, but definitely more fun to shoot with, because it seriously goes flying. Little bits and bobs in my bag - Water bottle; It holds water and has a Unisport logo. Cool. - Knotley Speed-laces in black; genius if your laces break and in the same quality and length as official laces from the brands. - BootFresh Spray; My feet smell. So do my boots if I don’t treat them. 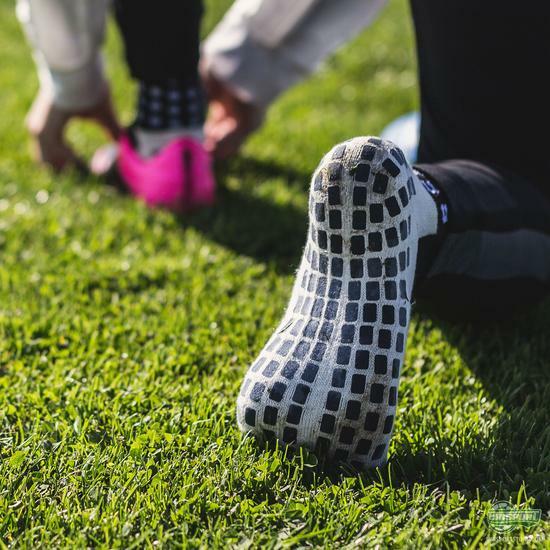 Premier Sock Tape; Always, always, always on when I play a game. - PUMA towel; You get fined in the club, if you forget to bring a towel…. 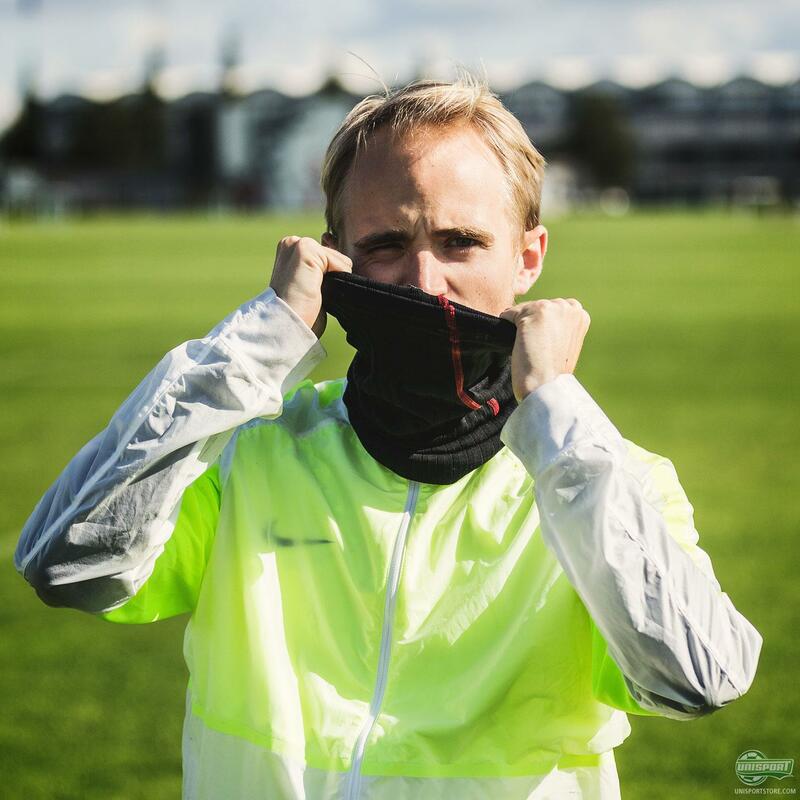 We have followed others, who work here at Unisport, but none could match Jakob. 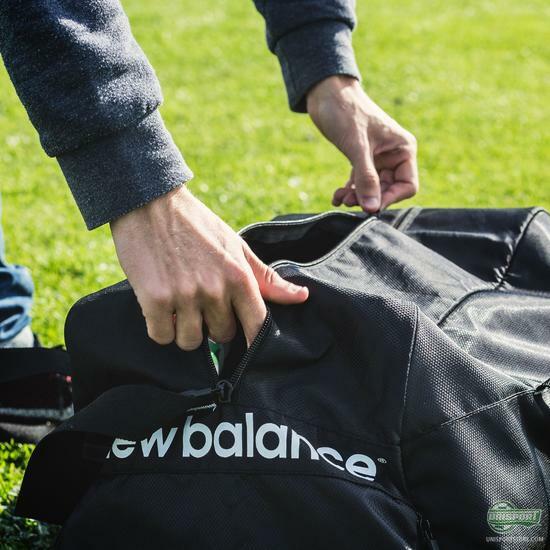 Now we have definitely given you a look at the ultimate sportsbag, whereas the others in the series might have been a little more realistic for a normal footballer. Do you share any of the same gear as Jakob?